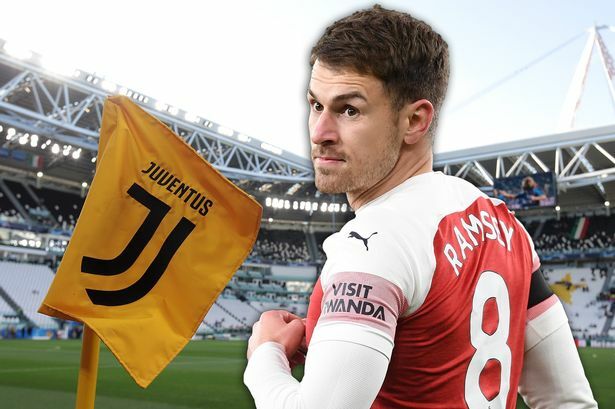 Arsenal midfielder Aaron Ramsey will join Juventus in the summer after signing a pre-contract agreement that will see him earn him over £400,000 a week. The 28-year-old will join the Italian champions after a free agent as his contract with Arsenal ends at the end of the season. The Wales international’s Arsenal contract expires on 30 June which means Arsenal will receive no fee when he leaves. The deal makes him the highest-earning British player ever based on basic salary. Ramsey picked Juventus after a host of other European teams such as Bayern Munich, Inter Milan and Real Madrid also showing interest, with Real forward Gareth Bale understood to have encouraged his Wales team-mate to link up with him in Spain. The Welshman has mainly been used by Unai Emery in a strict deeper role without license to roam or in the number 10 position with his back to goal despite his desire to play as a number eight, running on to the ball from an advanced central midfield position, which seemingly clashed with Emery’s vision, as BBC Sports reports. Juventus is known to sign players for free. For instance, in 2011 they signed 31-year-old Andrea Pirlo on a free transfer. A year later they got Paul Pogba for nothing from Manchester United, then in 2015 they signed 28-year-old Sami Khedira on a free transfer from Real Madrid. Blaise Matuidi, 30, followed for a seemingly cut-price fee of £18.2m in 2017 and last summer they snapped up Emre Can from Liverpool on a free transfer.